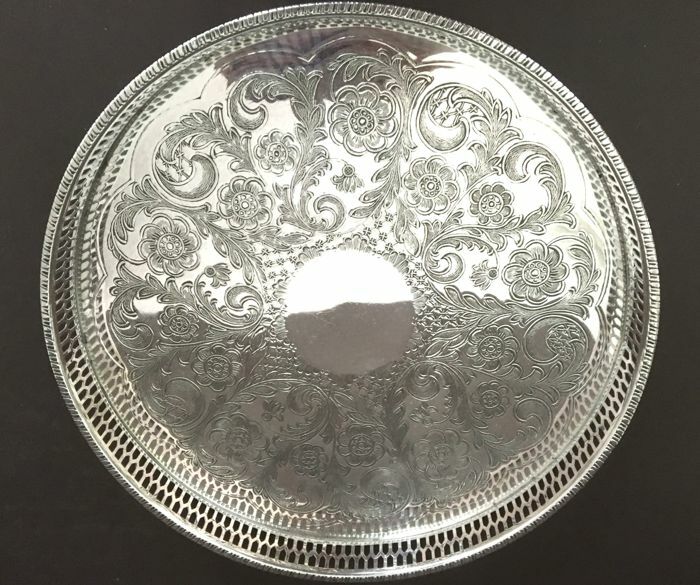 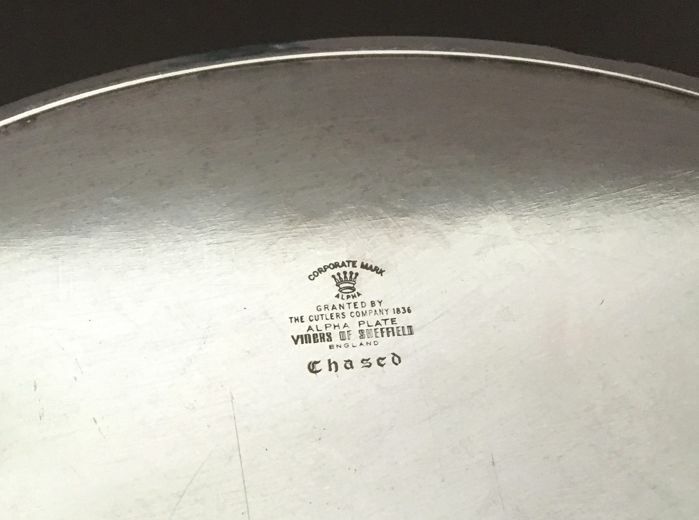 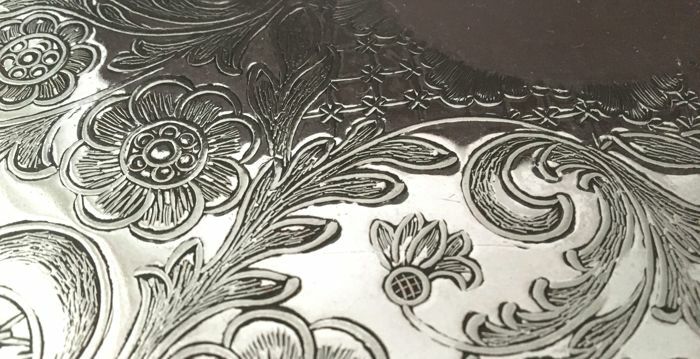 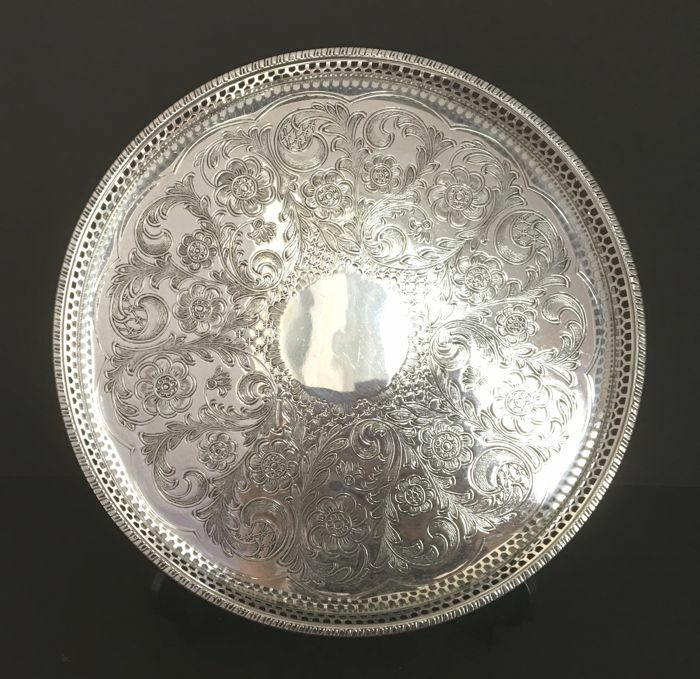 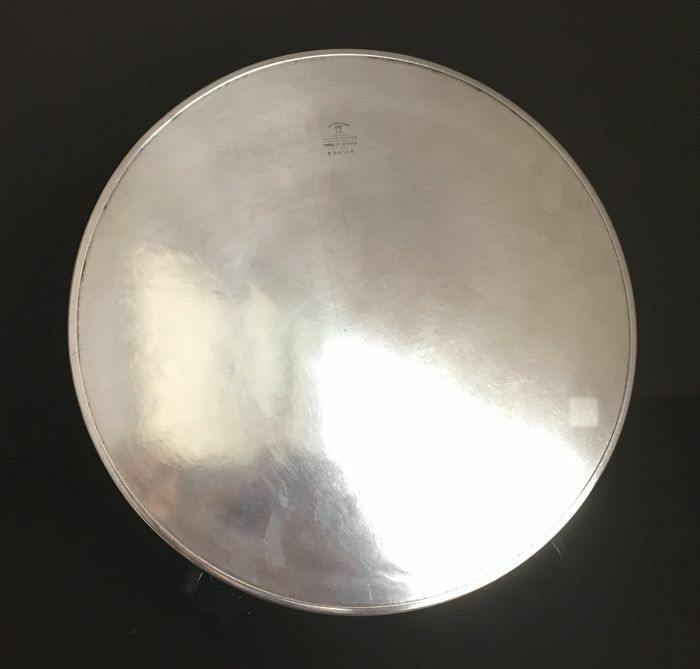 Beautiful heavily silver plated serving tray, marked, see photo. 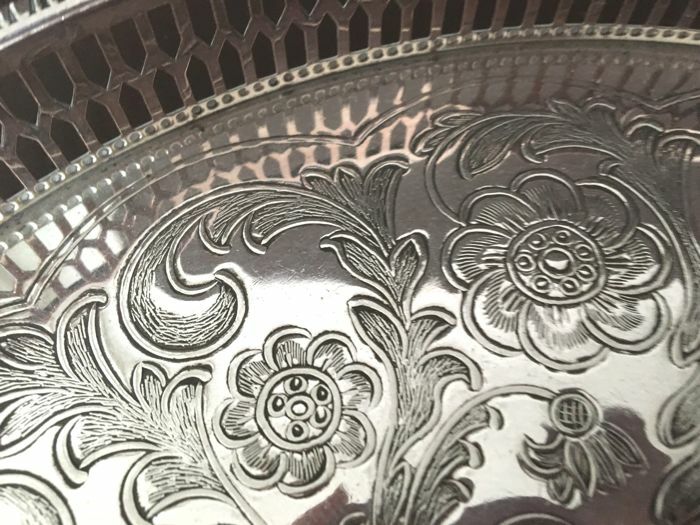 The openwork edge is approx. 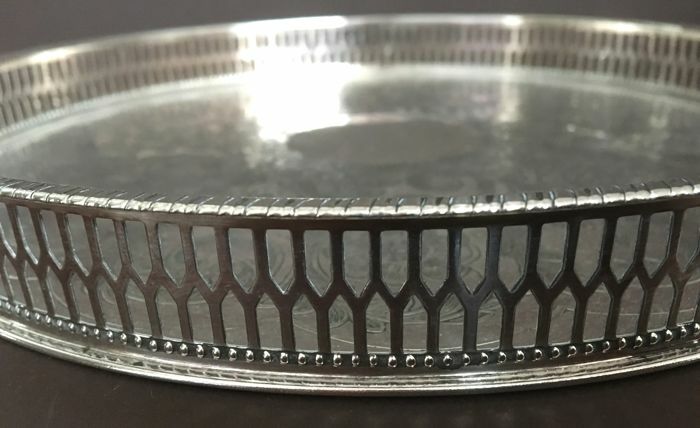 2.5 cm high, diameter of the tray is 26 cm. 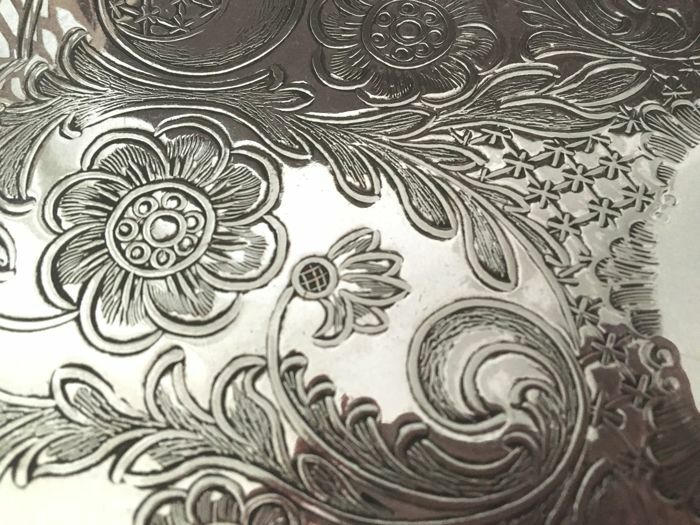 Entirely engraved with flowers and garlands.